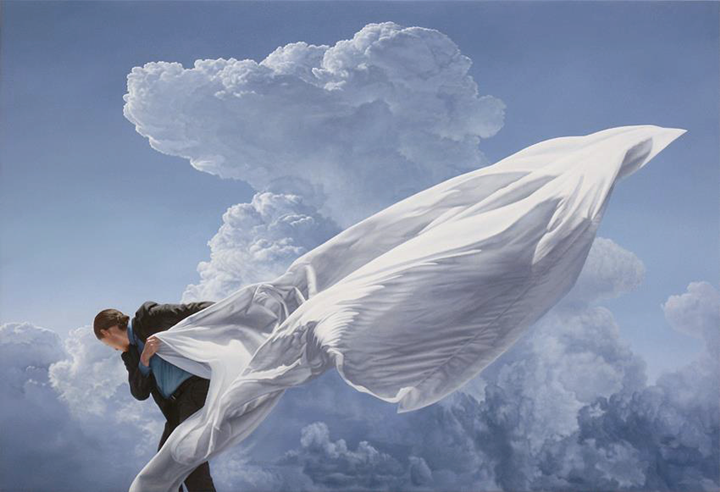 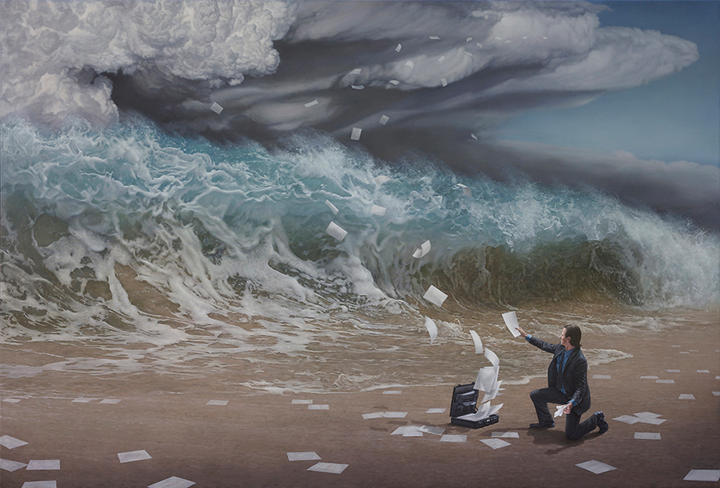 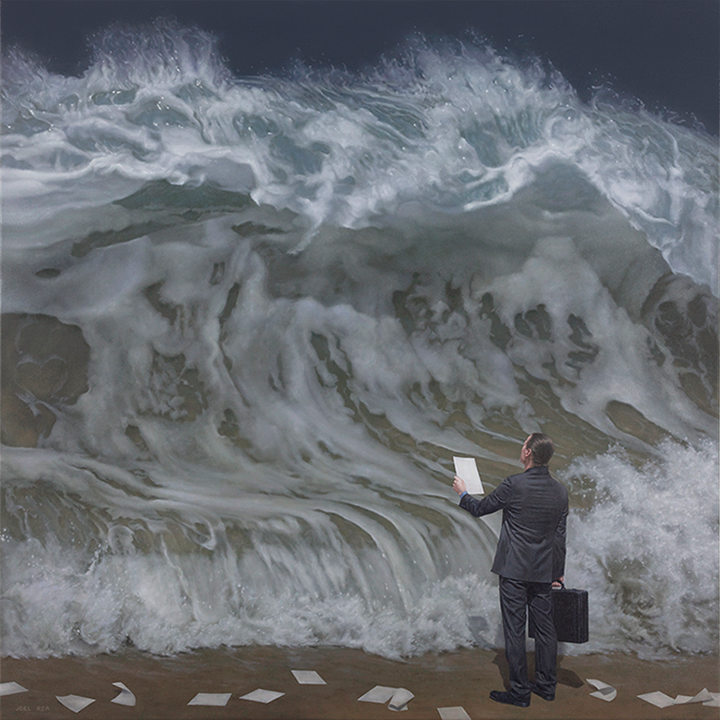 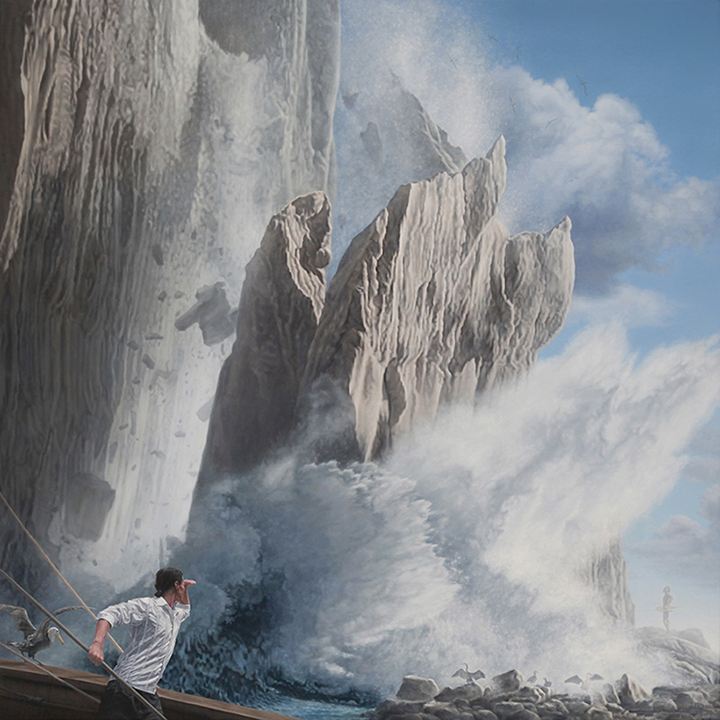 The Australian artist Joel Rea uses oil paint on canvas for in hyper-realistic images depict scenes of men confronting forces of nature, beyond the challenge against the man himself. 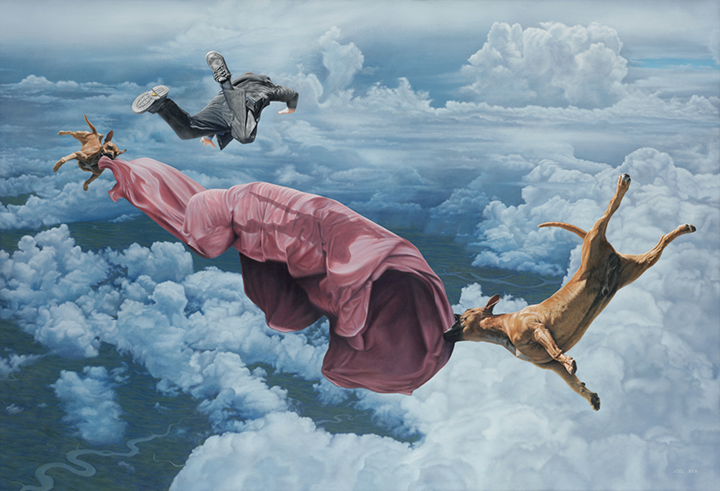 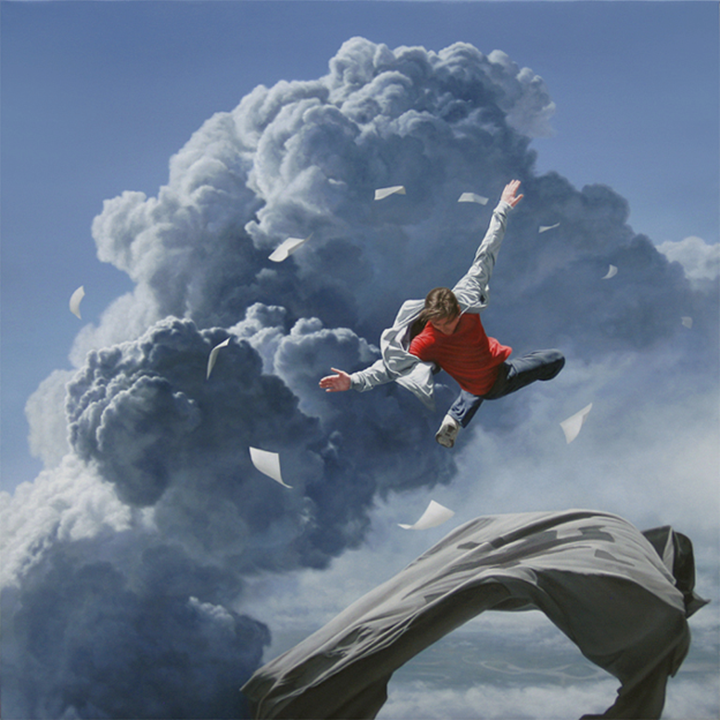 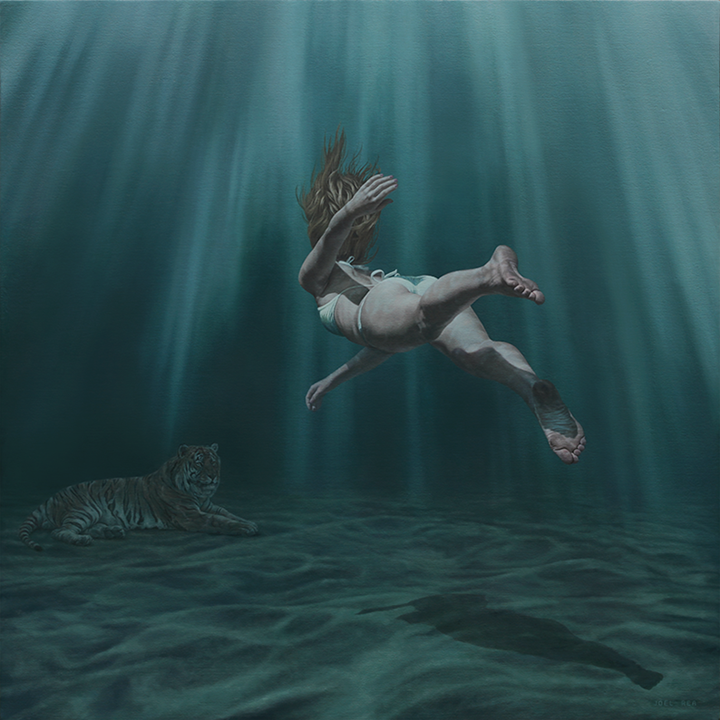 31 years old Hyper-realistic Australian artist also defined as a painter of contemporary surrealism. 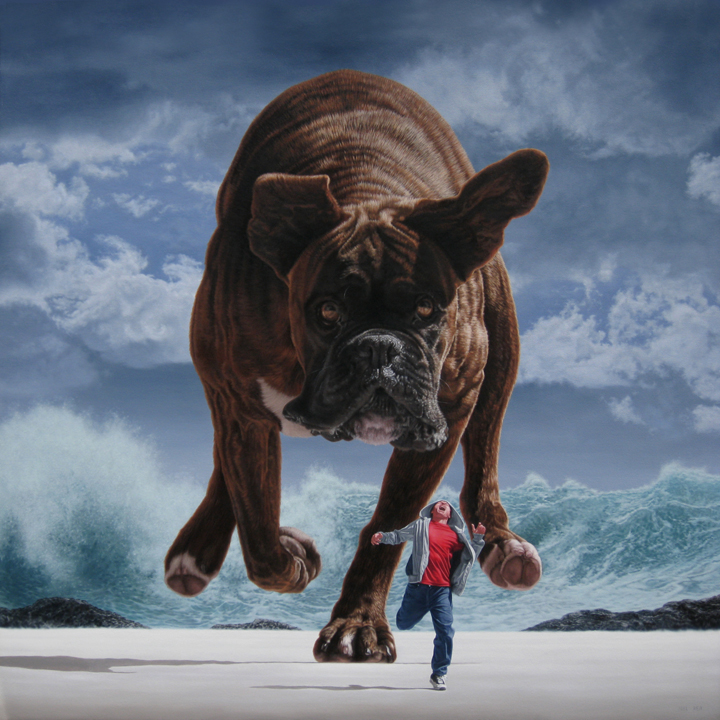 Play with power, with the dualisms of our society, but also with the fragility of life before nature gives us and takes us. 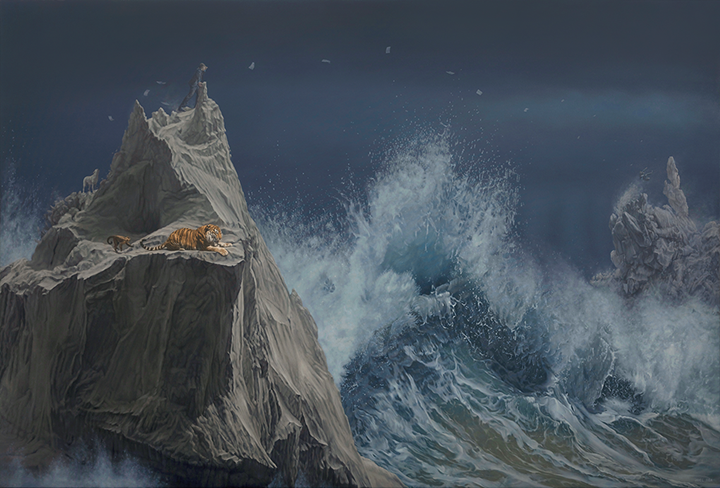 Skies, seas and large natural sculptures narrate the existential metaphor of the artist encounter an aesthetic of the sublime. 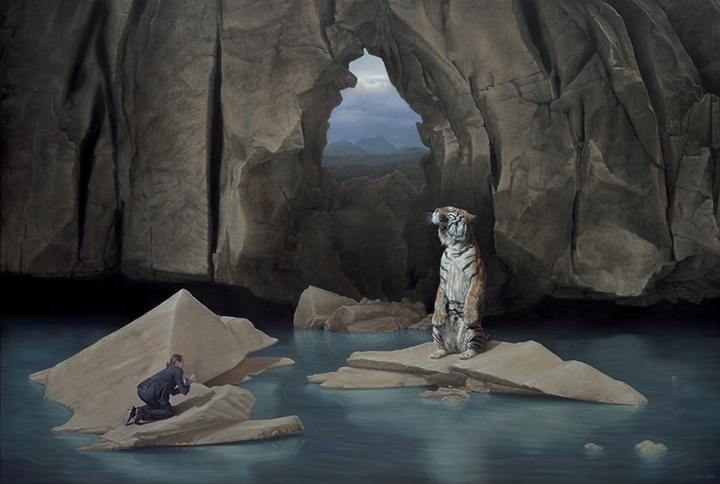 So, landscapes, animals and people in contexts where these spaces and stimuli beyond their control are magnified. 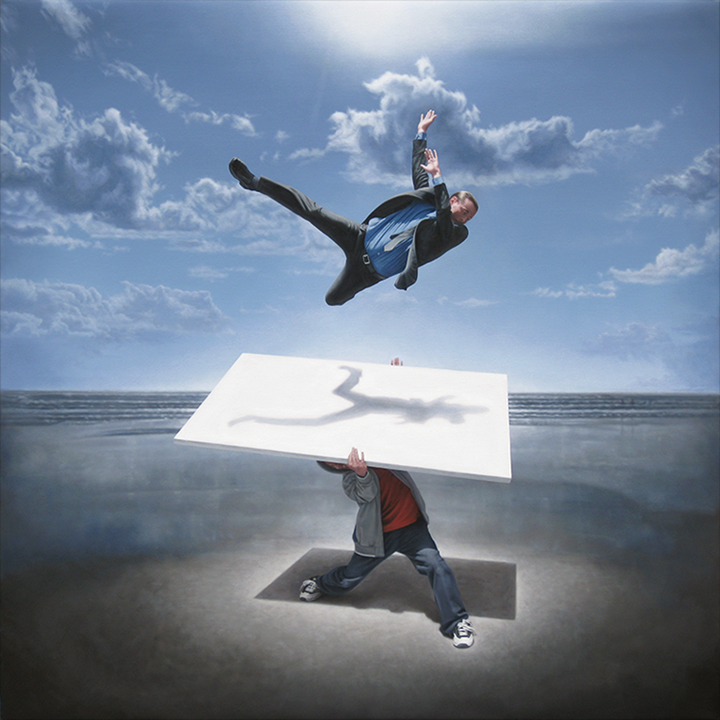 He says, "It's so easy to smile when you are winning but I guess in life it's what you do in your darkest hours that are the most interesting because that's where you are really challenged as a person and that's where truth can really come out."